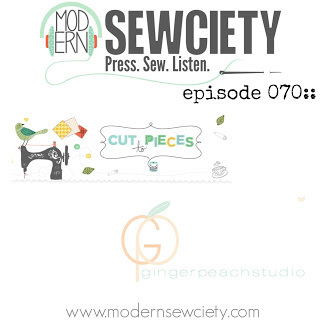 Earlier this summer, I had the chance to chat with the lovely Stephanie from over at Modern Sewciety for her popular podcast. It is finally live and now we can all go listen to it! Fun!! If you don’t already, also subscribe to her podcast via your favorite mobile device. I find podcasts great to listen to while sewing! Click HERE to listen to Stephanie and I chat, followed by Stephanie and Jenn Rossotti.